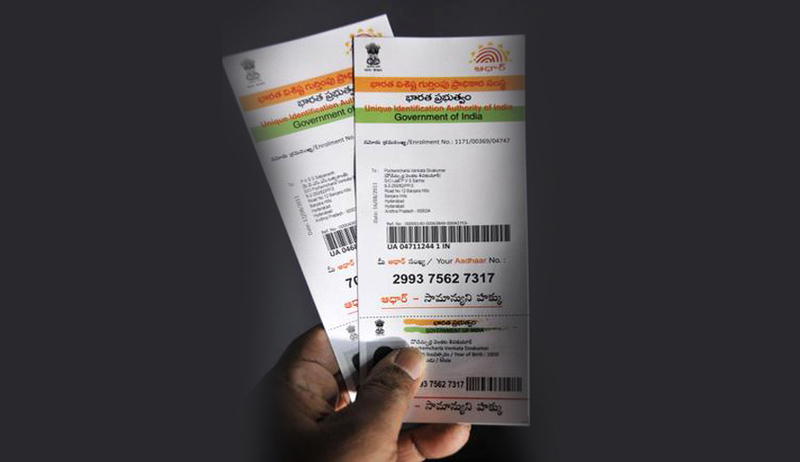 The Government, on Tuesday, proposed to make the Aadhaar card mandatory to file Income Tax Return (ITR) and for permanent account number (PAN) from July 1. According to the amendments proposed to the Finance Bill, PAN cards will have to be linked with the 12-digit unique identification number before the July 1 deadline. Aadhaar-based e-KYC facility would allow individuals or entities wanting to apply for PAN to verify details such as date of birth or address by way of biometric identification using thumb impressions. As per reports, Labour Ministry has also hinted towards making Aadhaar card mandatory for opening of EPF accounts from March 31, 2017. Besides, the Government has also proposed to amend 40 Acts, including Companies Act, Employees Provident Fund, Smuggling and Foreign Exchange Act, TRAI Act and Information Technology Act. Further, one of the amendments proposes to cap cash transactions at Rs 2 lakh, instead of Rs 3 lakh as earlier proposed by Finance Minister Arun Jaitley. According to a tweet by Revenue Secretary Hasmukh Adhia, a penalty of equal amount would be levied in case of violation of the provision.